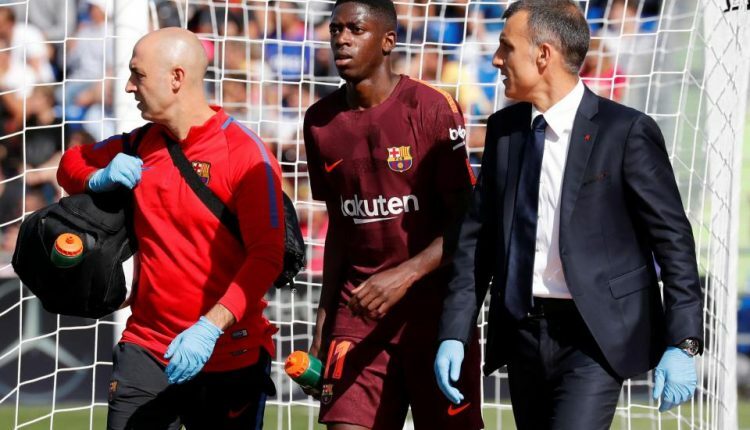 Barcelona new signing, Ousmane Dembele will be out for up to four months with a hamstring injury. The club’s record signing, who joined from Borussia Dortmund in a deal which could be worth £135.5m, hobbled off during Saturday’s win over Getafe. A statement on the club’s website said the 20-year-old France international had ruptured “his tendon in the femoral bicep in his left thigh”. It added that Dembele will have surgery in Finland this week.